product for manufacturing plastic profile and plastic pipes. boiler cover adopts double-path airproof and the cold mixing unit also uses vaulted cover, which is not easy for distortion. 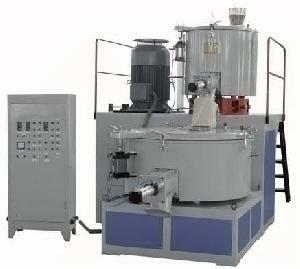 This machine features compact structure, nice appreance,etc. Palms are through both static and kinetic balance tests.